By now you’ve probably heard of someone changing the lights in their home over to LEDs to save on electricity. Maybe your company or city has installed LED lighting as part of an energy saving initiative. So with all the talk about cutting costs and “going green”, how do LEDs actually work in simple terms, and what makes them so efficient? 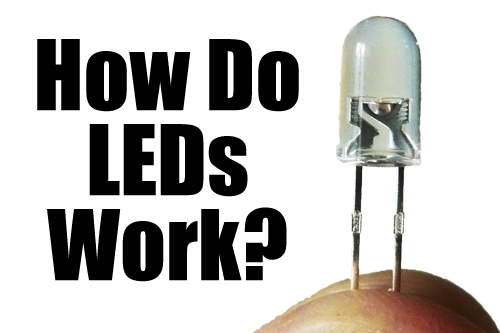 There are plenty of explanations out there describing how LEDs (Light Emitting Diodes) turn electricity into light, but many require a degree in electrical engineering to make heads or tails of them. So let’s try something a little more simplistic. 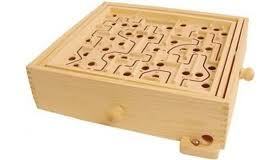 At its most rudimentary, an LED works like a child’s marble maze game. As electricity flows through the connections in the LED, some electrons (pieces of electricity) encounter electron-accepting holes in the material. When an electron falls into one of these holes it slows down, and the energy it loses is released in the form of a photon (a piece of light) that our eyes can then see and use. In other words, light is the natural result of an electron falling through a hole, just like a loud ker-plunk is the natural result of the marble falling through a hole in the child’s toy. By contrast, incandescent bulbs work like an electric stove set to high, heating up until they glow, and a fluorescent bulb has multiple layers to the process, electricity excites a gas which emits light we can’t see that is absorbed by a coating that then glows with light we can see. So how do the inner workings of an LED translate into value for you? All light fixtures turn a portion of the electricity they receive into unwanted heat, but LEDs produce significantly less heat than incandescent or fluorescent bulbs. This means less electricity is used to produce the same amount of light, lowering your electric bill. In fact, it is this very electrical efficiency (along with other innovations like our Low Glow technology) which allows all of our wireless LED lighting products to run for a year or more on one set of batteries. But the benefits don’t end there. LEDs also last longer than any other bulb type because less heat and fewer parts means less wear and tear on the bulb. Longer bulb life reduces replacement cost and the amount of time you have to spend on a ladder, swapping out bulbs. And thanks to the solid construction of LEDs, they are less likely than traditional bulbs to break as a result of the normal bumps and bangs of an active household. As LED technology improves we will continue to see their cost drop, their efficiency rise, and their adoption spread across the entire spectrum of residential and commercial lighting applications. Jenesis is proud to contribute to this process by offering reliable, efficient, and attractive LED lighting for your home.